Fitness starts with nutrition. Many people think getting healthy begins in the gym, however, you can’t outwork a poor diet. If fat loss is your goal, 80 to 90% of the solution is nutrition! Figuring out how to read food labels is the first step in changing the way you think about and enjoy food. Learning how to read nutrition labels gives you more control over what you choose to put in your body to fuel your health. Every packaged food is required to have nutrition facts on a label that the consumer can read. This label includes the serving size, caloric content, protein, fat, sugar, carbohydrates, ingredients and more. Learning how to read nutrition facts on food labels and understanding how this information can impact your diet is key in staying healthy. You really are what you eat (your cells break down the food you eat to fuel your body), so keeping that in mind may help you make healthy choices at least 80% of the time! 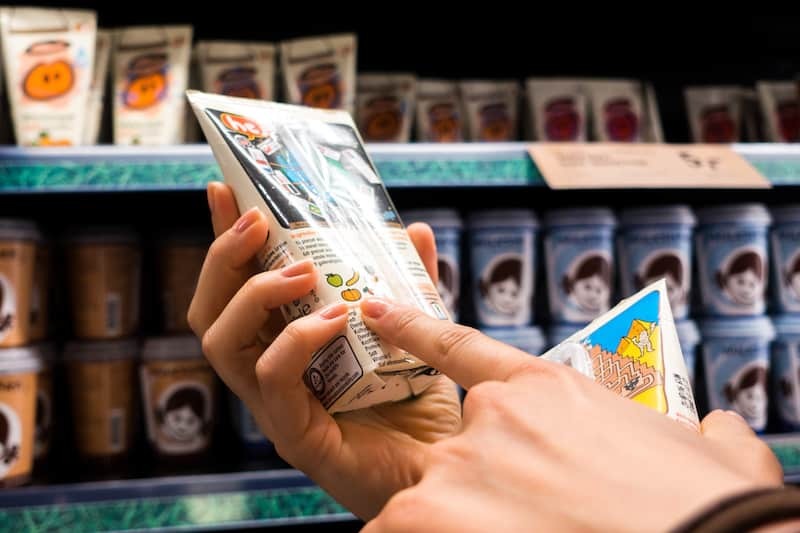 Learning how to read food labels gives you control over your meal planning and diet. When you pick up a packaged food product, start with the serving size on the label. Portion is one of the most overestimated things in the country! If you haven’t been focused on food labels, you may be shocked to discover that the serving size of your favorite food is actually usually half of what you’ve been eating. As an example, if the serving size for oatmeal is half a cup and you’ve been eating an entire cup, you’re getting twice the calories and carbs! Figuring out serving sizes lets you know how many calories you’re actually ingesting. Do Food Labels Show Macronutrients? Another thing that is featured on nutrition labels is macronutrients. Many people who focus on fitness and exercise frequently pay attention to food labels in order to calculate the calories and macronutrients they’re taking in each day. Macronutrients can be simplified as fat, protein, and carbohydrates (sugars). You may have heard of people trying to fit a specific food “in their macros” for the day. This simply means that they have a set amount of fat, protein, and carbohydrates that they’re supposed to stick to each day for maximum nutritional value depending on their goals. Macros are different for each and every person depending on weight and activity level. Those who are tracking their macros can read nutrition facts on food labels to figure out how much of each component a product contains. You’ll find the fat, protein, and carbohydrate content on every food label. Reading food labels allows people who are focused on their macros to more easily determine how to reach their goals every day. Nutrition labels also include information on what kinds of vitamins are included as well as their amounts in grams and the percentage of each vitamin the product contains in relation to your daily recommended intake. The information on nutrition labels is based on a 2,000-calorie daily diet, so these percentages may vary. These labels will also provide how much sodium and cholesterol are included in the product and break down the types of fat—either saturated or trans—that comprise the total amount. Start with serving size: You will be surprised at how small one serving is! If you eat two servings you must double all the macros and the calories, and sometimes you may eat 3 or 4+ servings!! For example: 1 serving of almonds = 1 oz or about 23 nuts = 163 calories, 14g of fat, 6g of protein, 6g of carbs. One oz is about the size of your palm. If you eat 3 handfuls of nuts, you’ll easily triple the calories depending on the size of your handful! Carbohydrates can be categorized into good carbs (complex carbs) and bad carbs (simple carbs). Complex carbs pack in more nutrients than simple carbs because they are higher in fiber and digest more slowly. Figuring out how to read nutritional labels gives you control over your diet so that you can fuel your body in accordance with your fitness goals. At Loyalty Fitness, our personal trainers can meet one-on-one with you to give you personalized nutrition tips and advice. If you’re looking for a new nutrition or fitness regimen, contact us today!